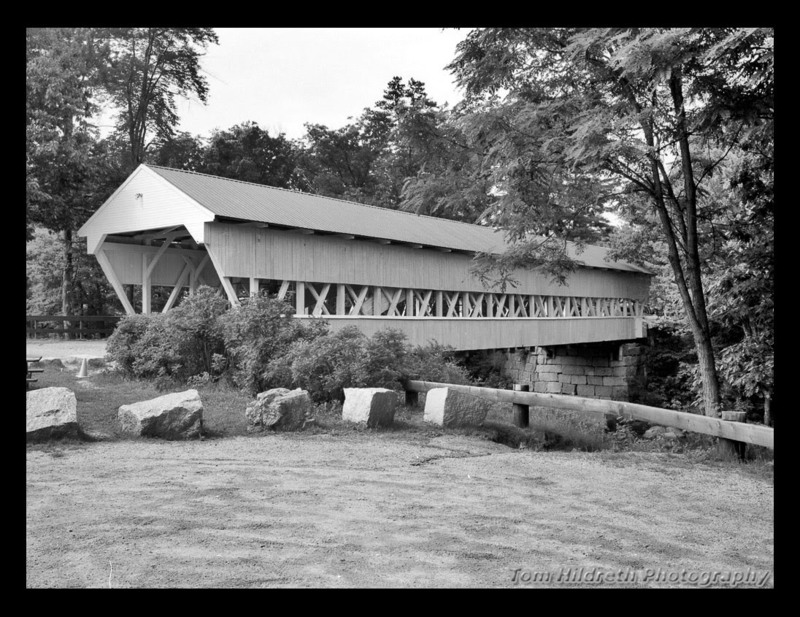 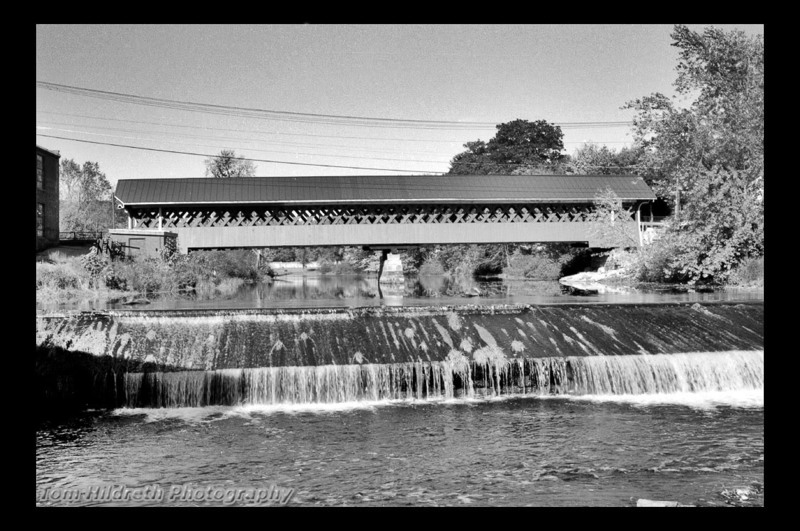 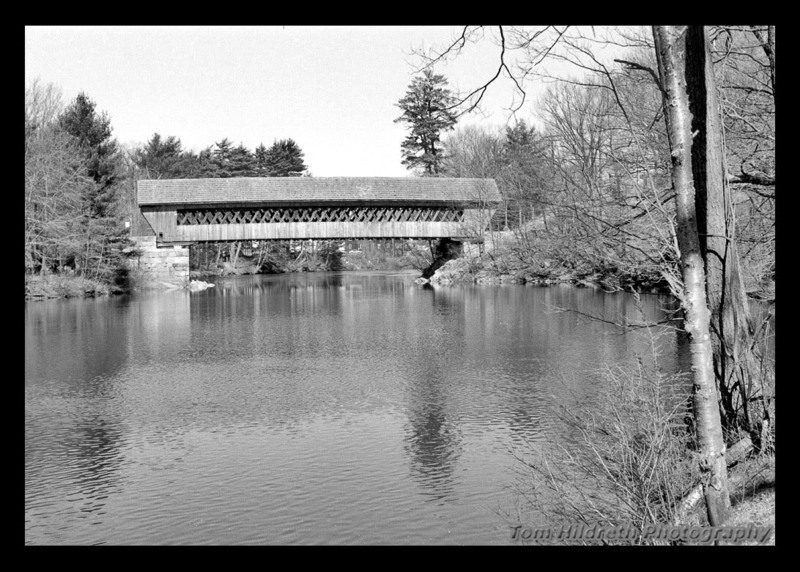 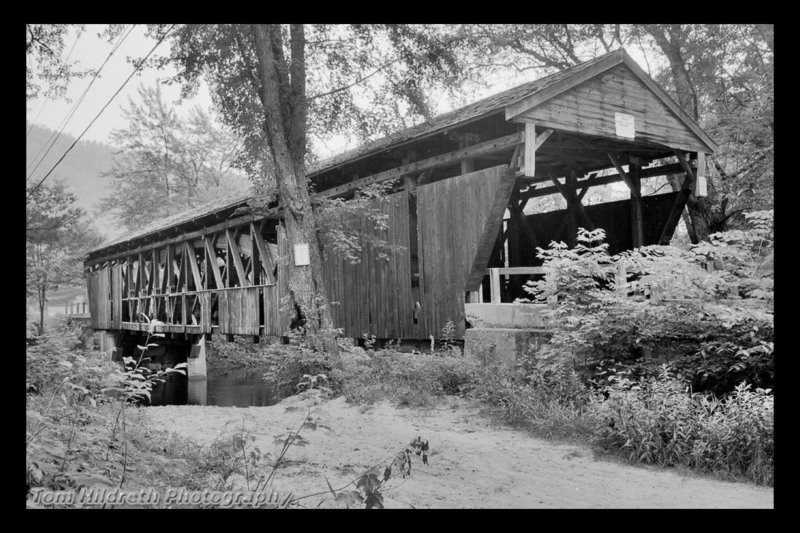 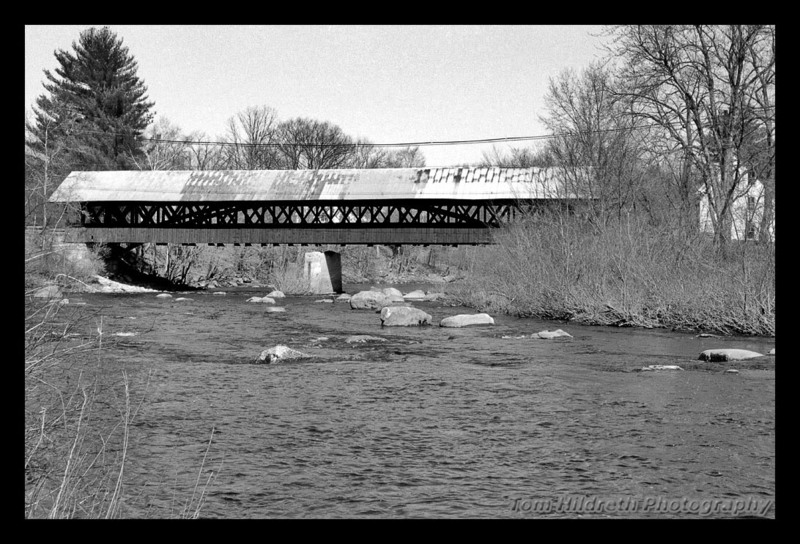 The Meriden Bridge was built by James Tasker and was the third bridge on this site in Plainfield. 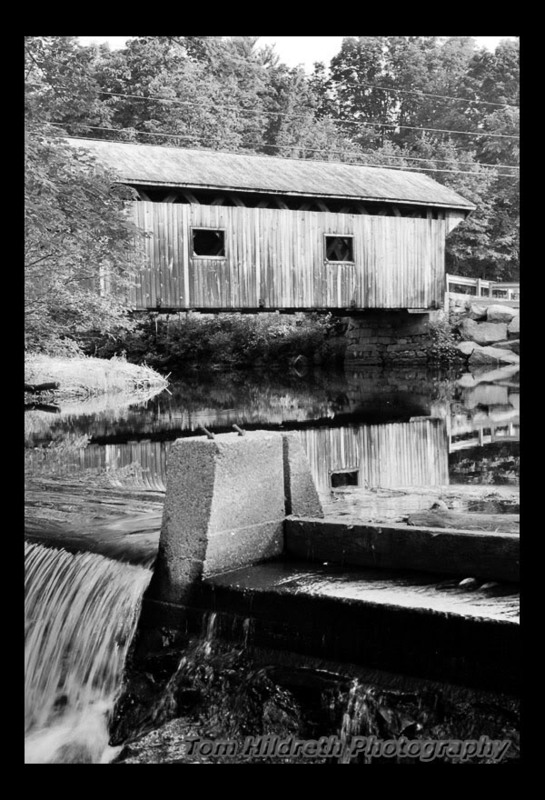 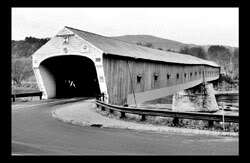 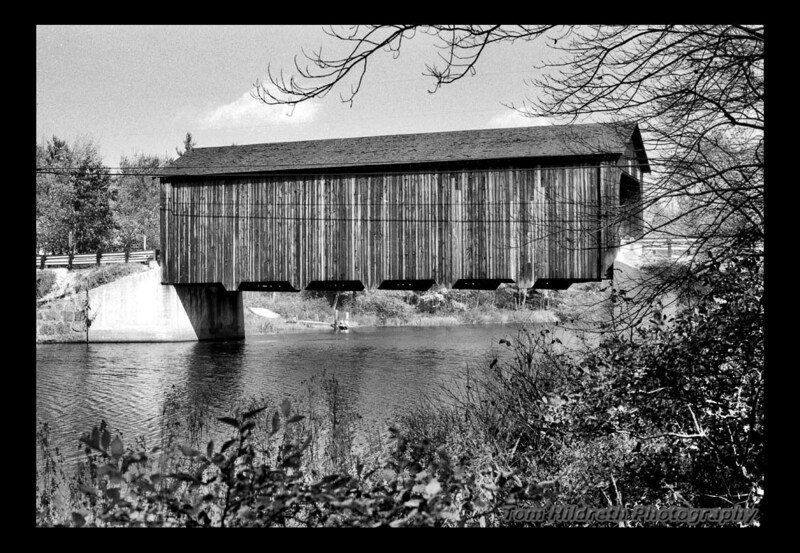 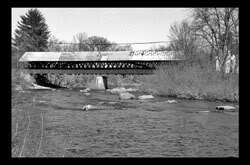 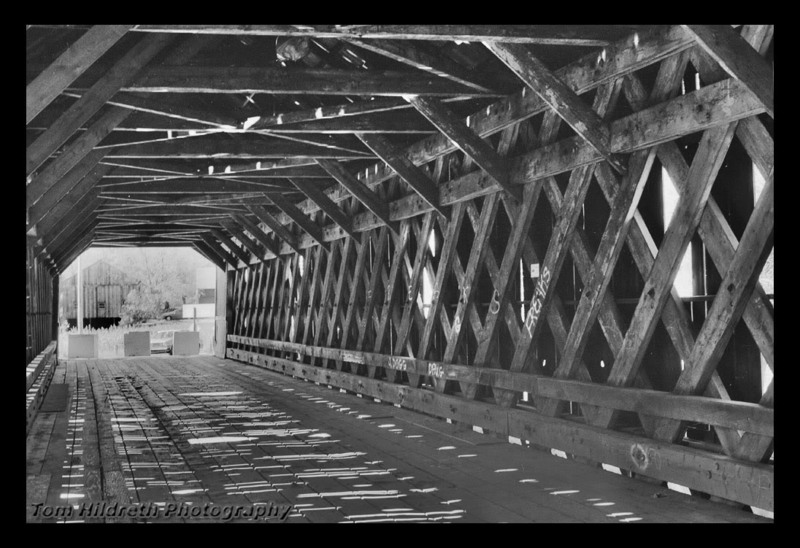 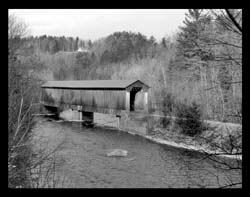 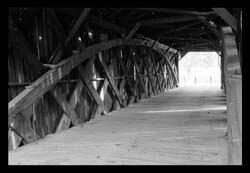 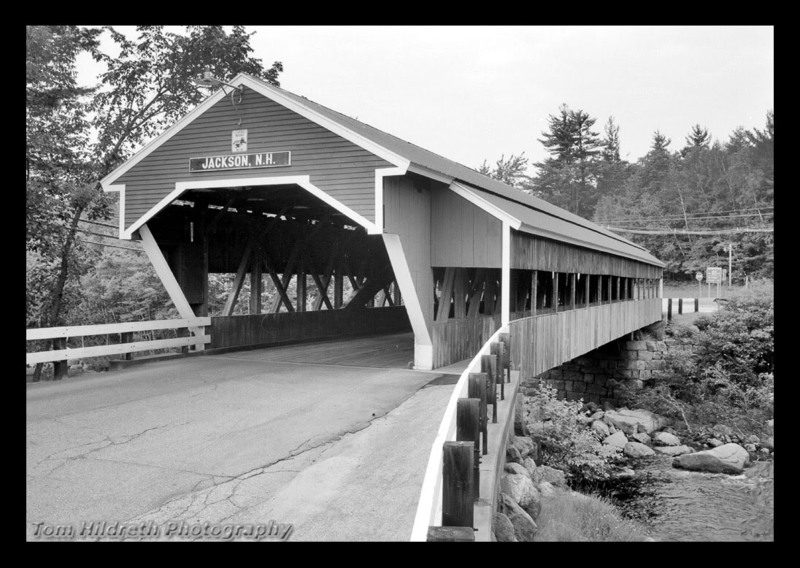 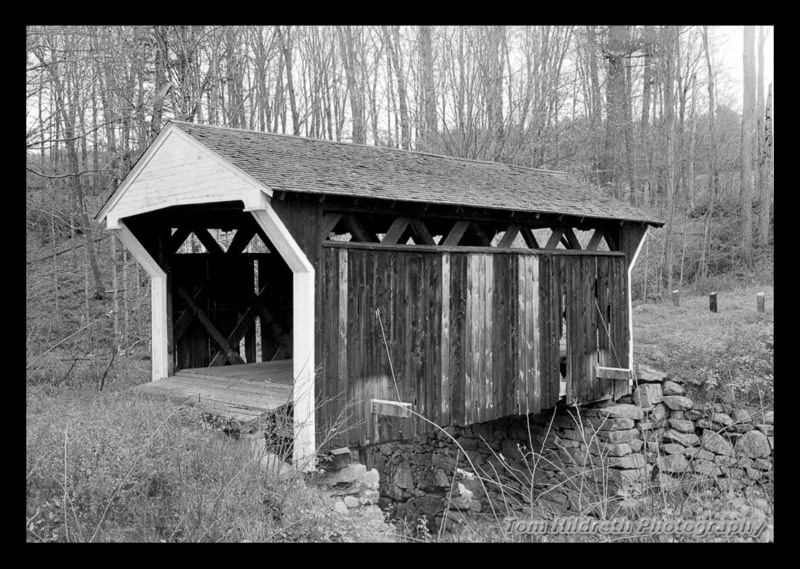 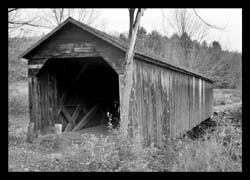 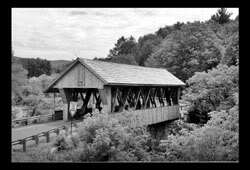 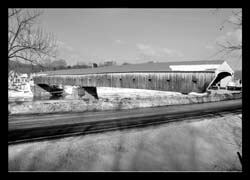 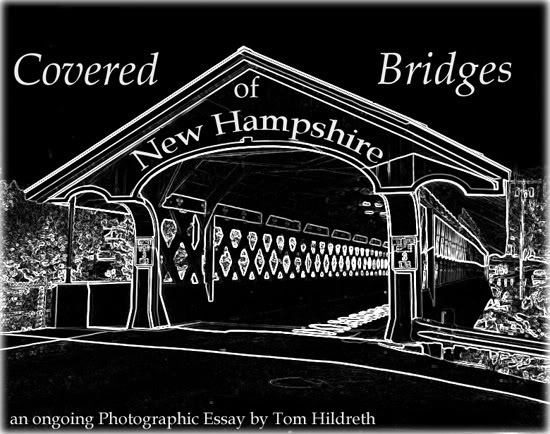 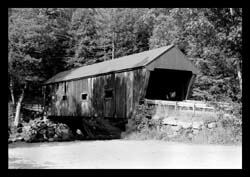 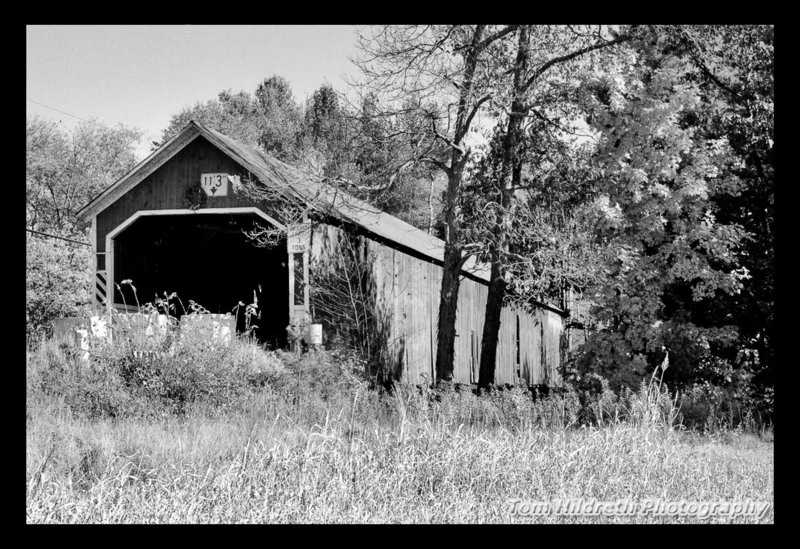 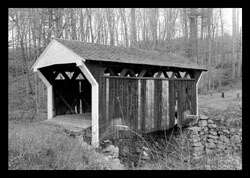 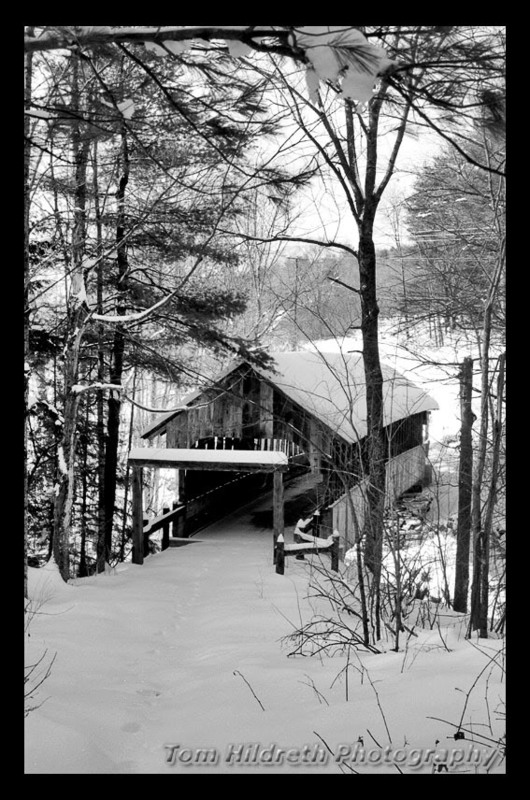 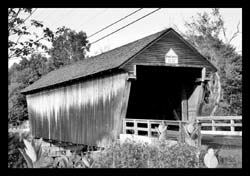 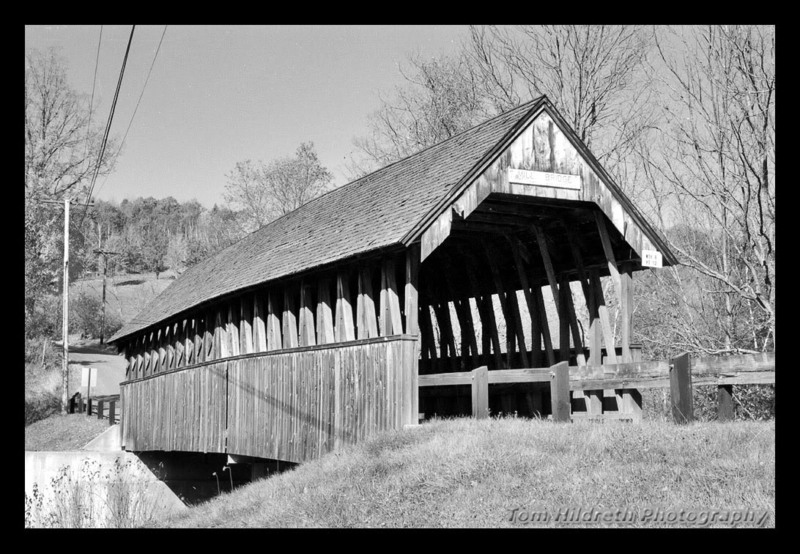 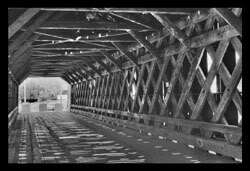 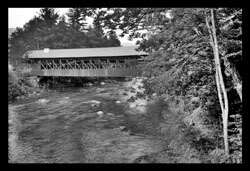 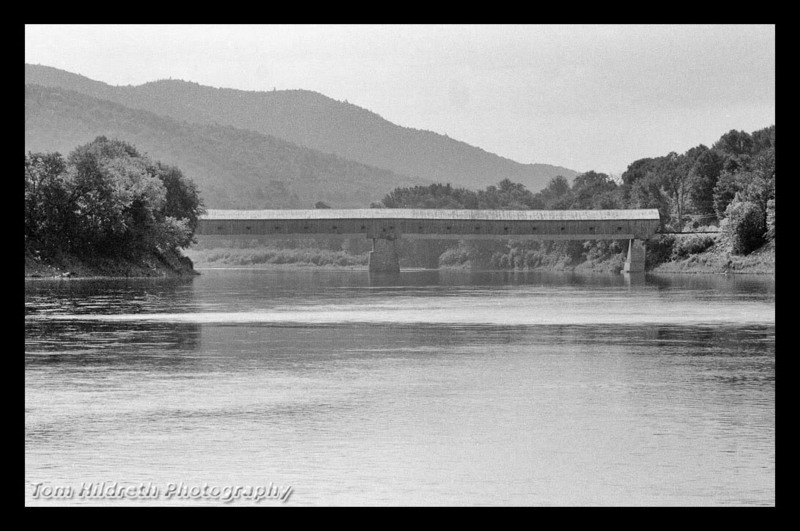 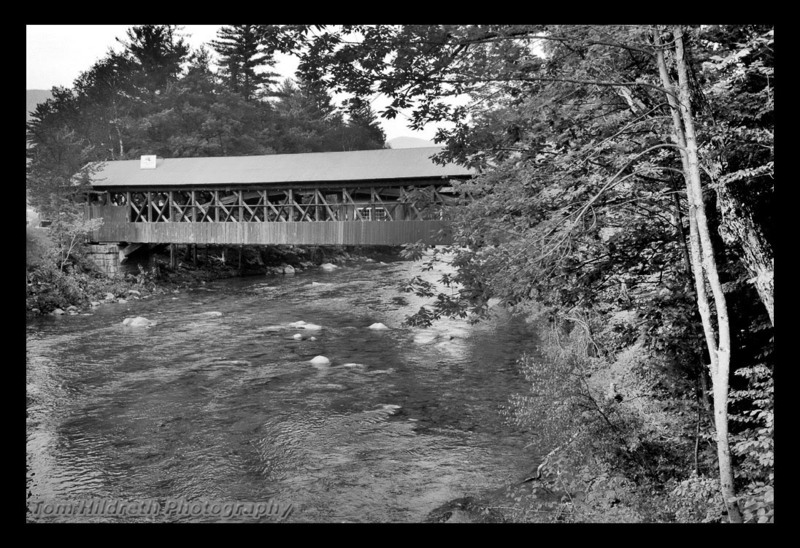 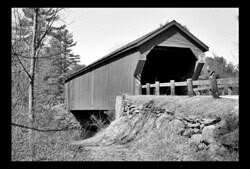 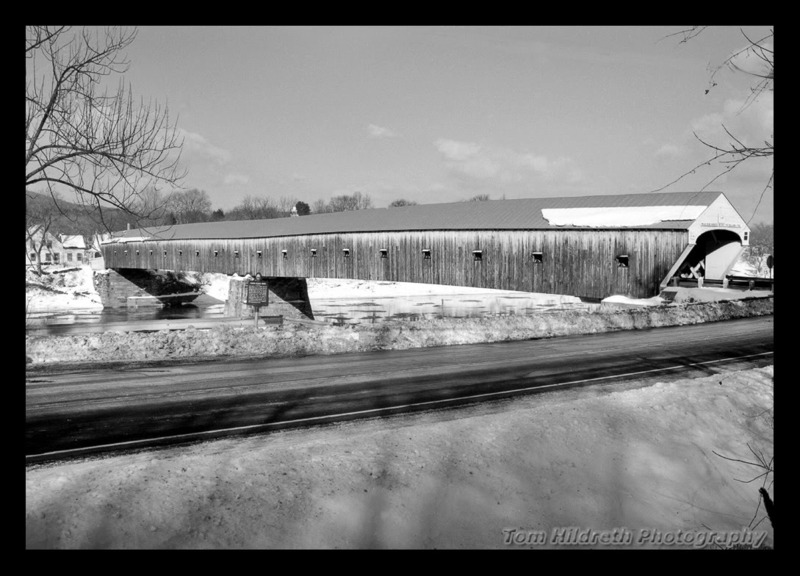 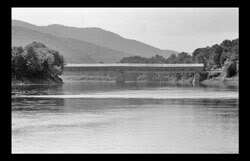 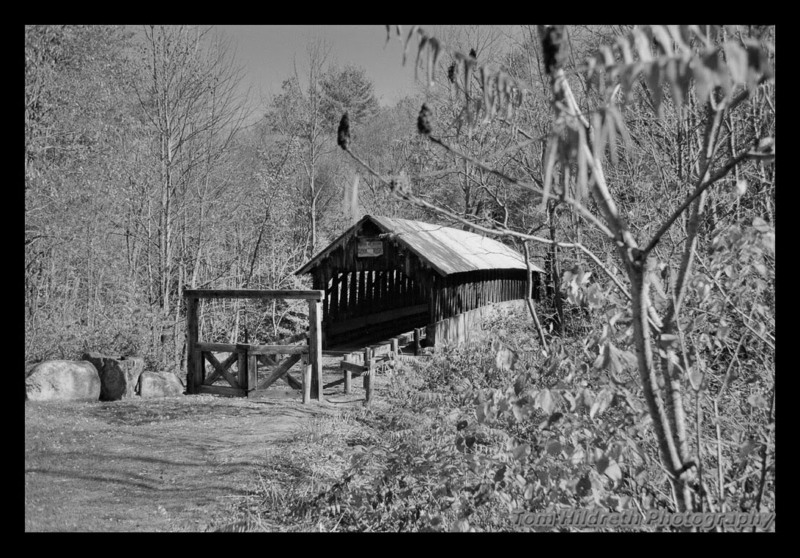 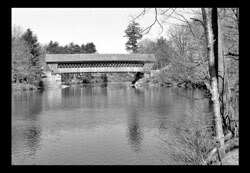 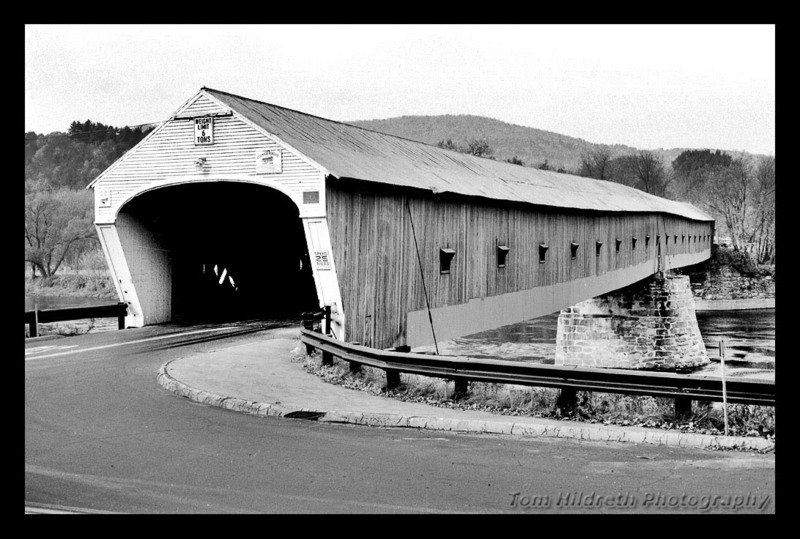 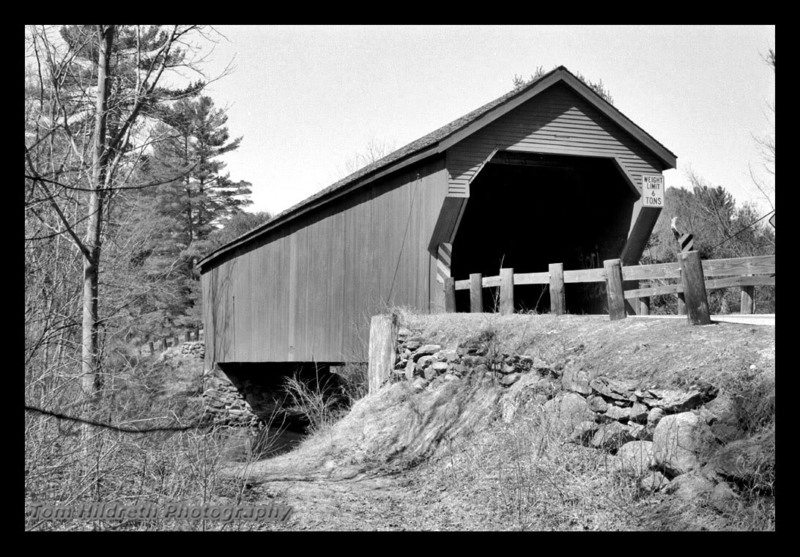 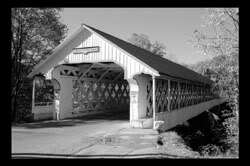 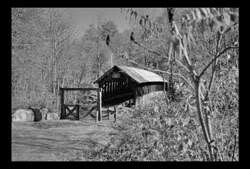 It is an 80 foot long Multiple Kingpost Truss design that spans Blood's Brook. 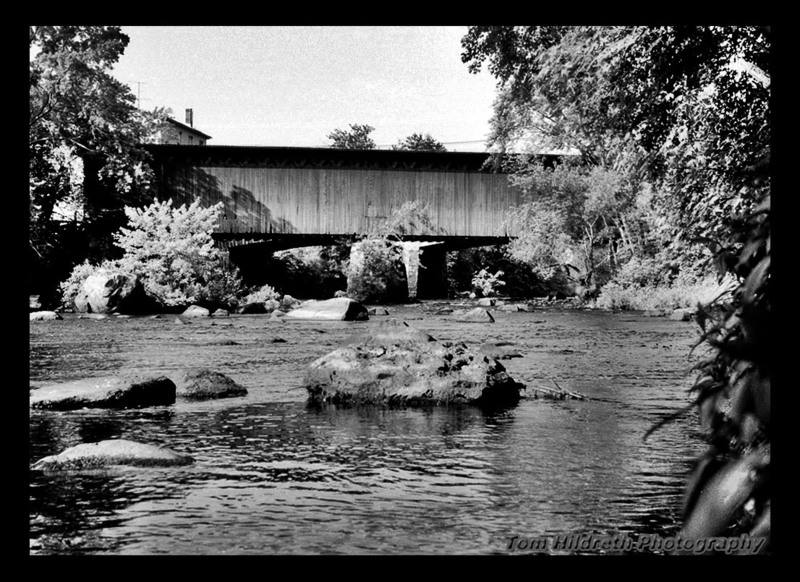 Kodak TMAX100 photo taken 13 Oct 1994.